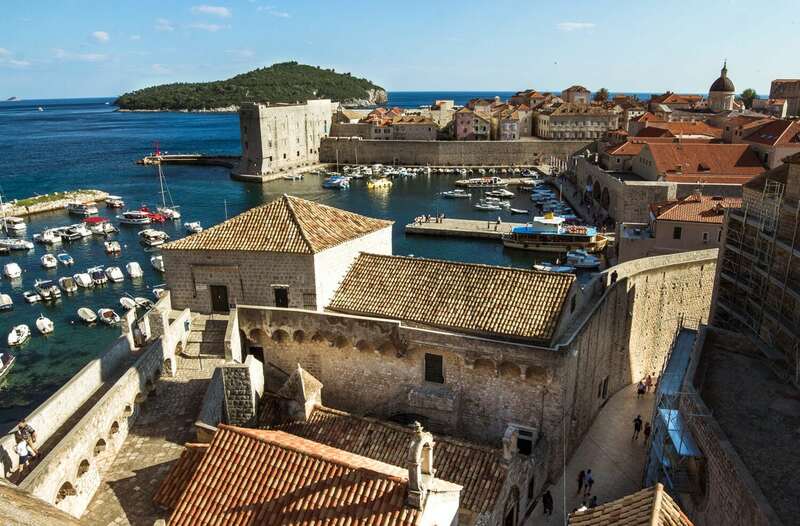 Old Town Dubrovnik is completely surrounded by a 10th century, medieval stone wall. 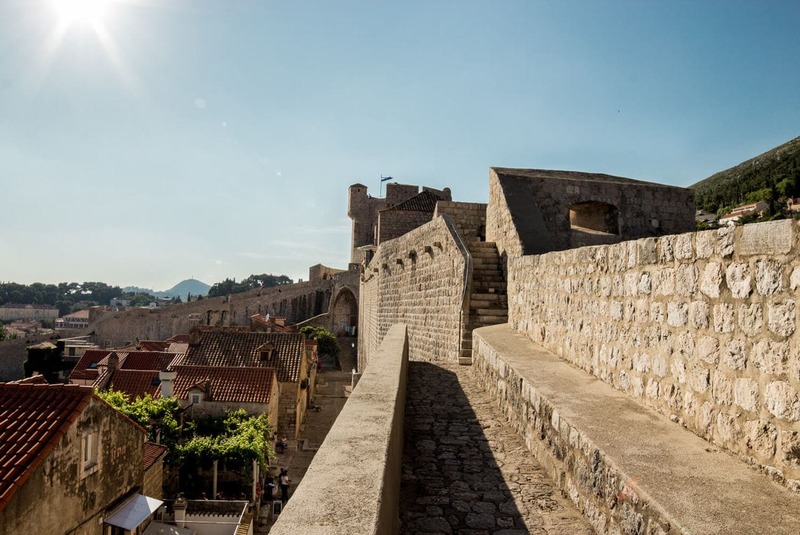 Once a form of protection from invaders, today the Dubrovnik Walls are the top tourist attractions in the city. 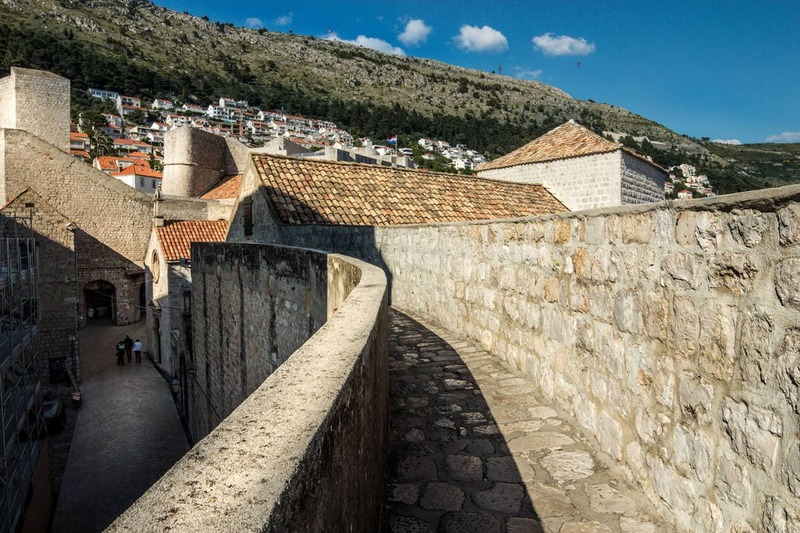 You can walk the entire perimeter of the walls and as you circle the old city, you’ll get the best 360 degree perspective. Keep reading to view [a selection] of my 6,000 photos and pick-up some tips for visiting below. 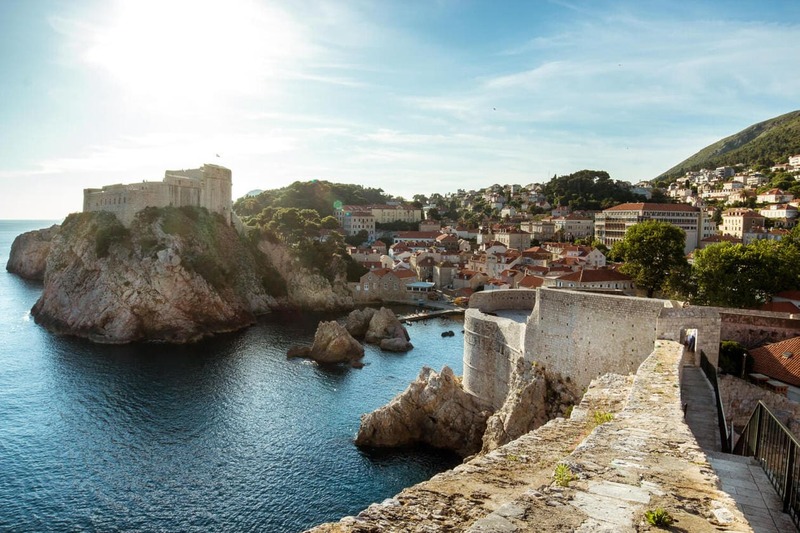 Based on the information I found online, I allotted myself (what I thought was) a generous 2 hours to walk the walls of Dubrovnik. In reality, it took me 4 hours because I literally stopped every 15ft to take a photo. 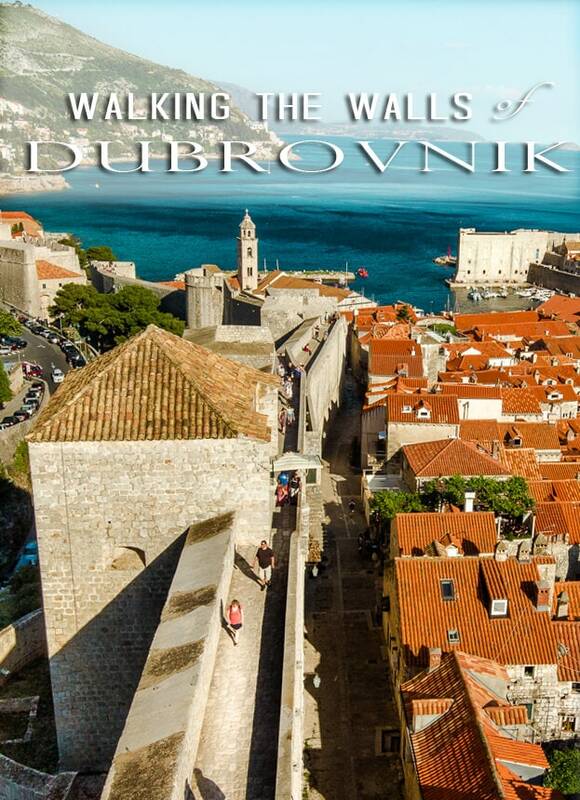 While this is the most popular thing to do in Dubrovnik, I didn’t quite understand what it meant to “walk the walls” until I got here. 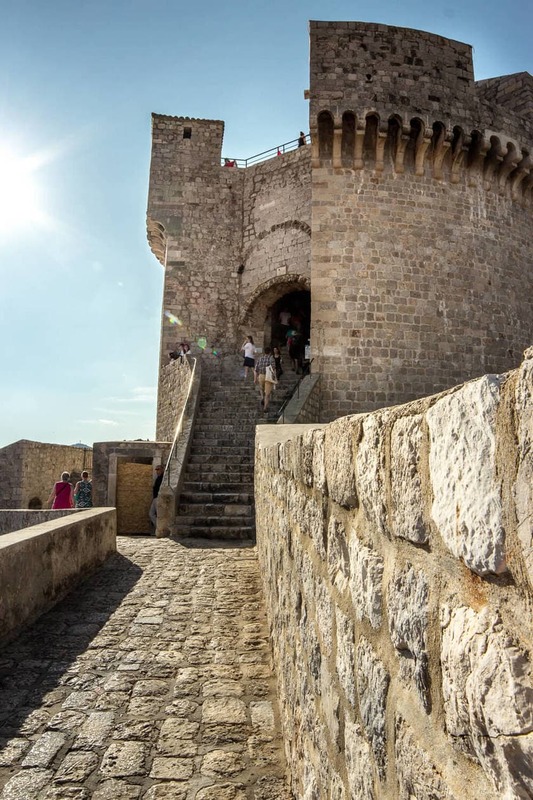 It’s only 2km (1.2 miles) to make your way around the perimeter, but there’s a lot to see. I wish I had given myself more time. By the end we were racing to make our way to the end before they closed. Nevertheless, it was by far my favorite thing that we did while in the Old City. 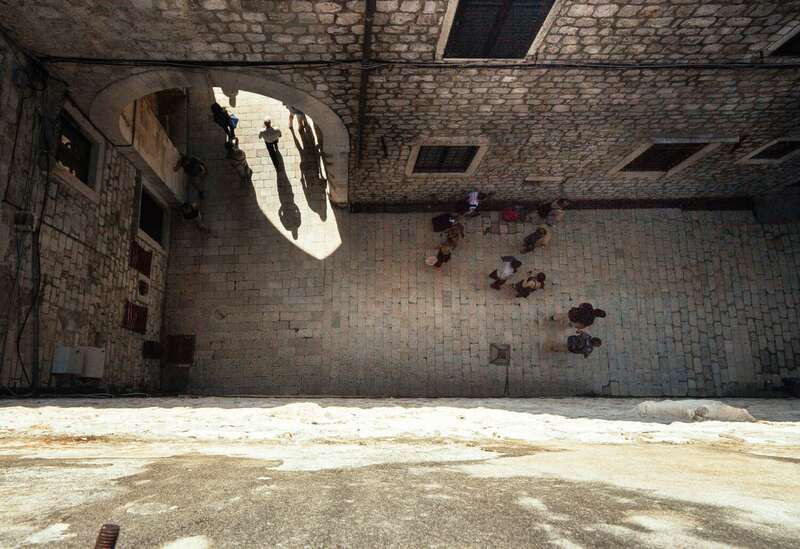 There are multiple entrance/exits points on the walls, and we started at the one next to the Maritime Museum (super boring btw.. don’t recommend). We began in the late afternoon and by this time there weren’t too many people up there with us. 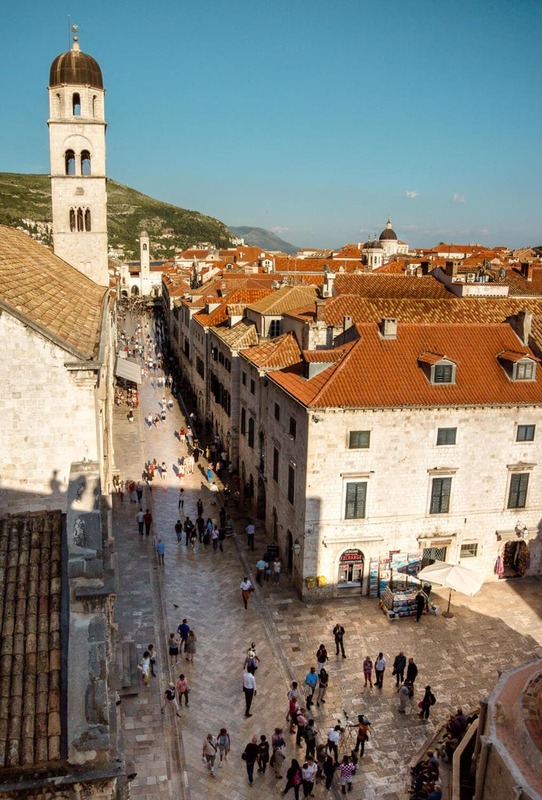 Even in May, the Old Town was unbearably busy with tourists which took away from the magic. 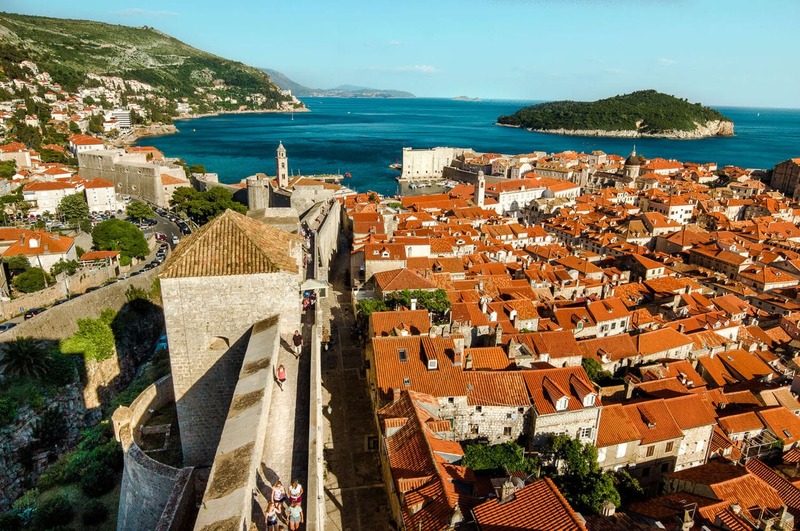 Walking the walls of Dubrovnik gave us a different perspective, and being up and away from the madness helped us see Old Town for what it actually is.. one of the most beautiful cities I’ve ever been to. 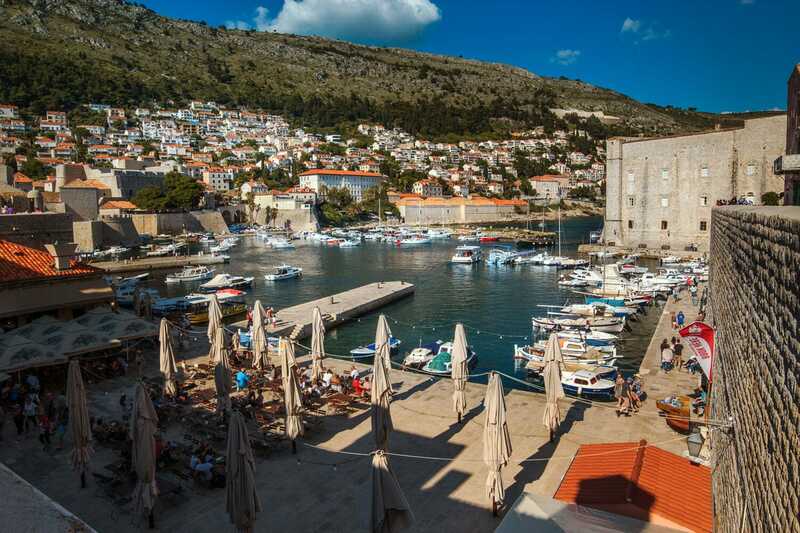 From the east side, you can see the entire Old City harbor, packed with sailboats, ice cream stands and tourists. 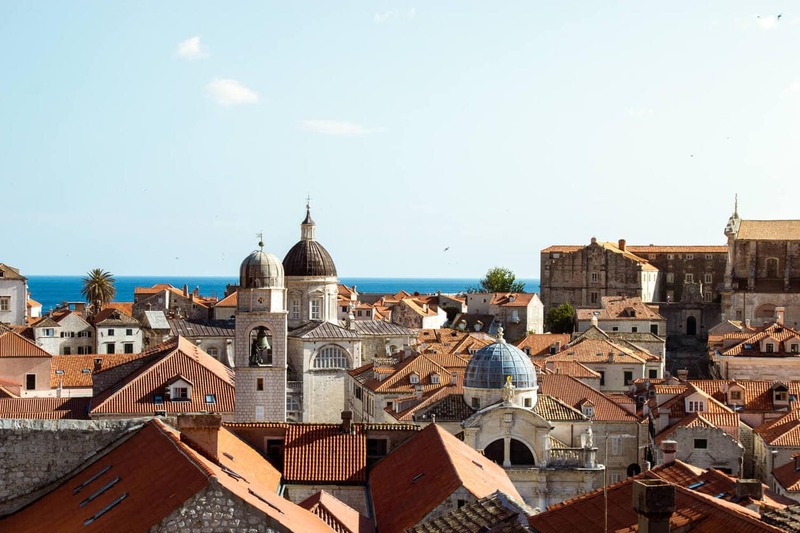 As you curve around to the north side, you’ll get an incredible view of the Old Town’s red roofs with the Adriatic Sea as a back drop. On Northwest corner sits Micenta Tower. 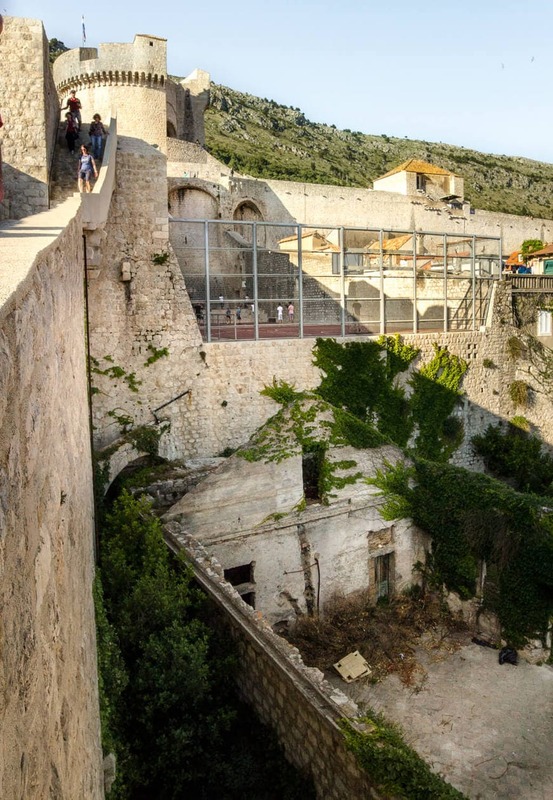 This 14th century fortress has walls that are 6 meters (20 ft) thick! 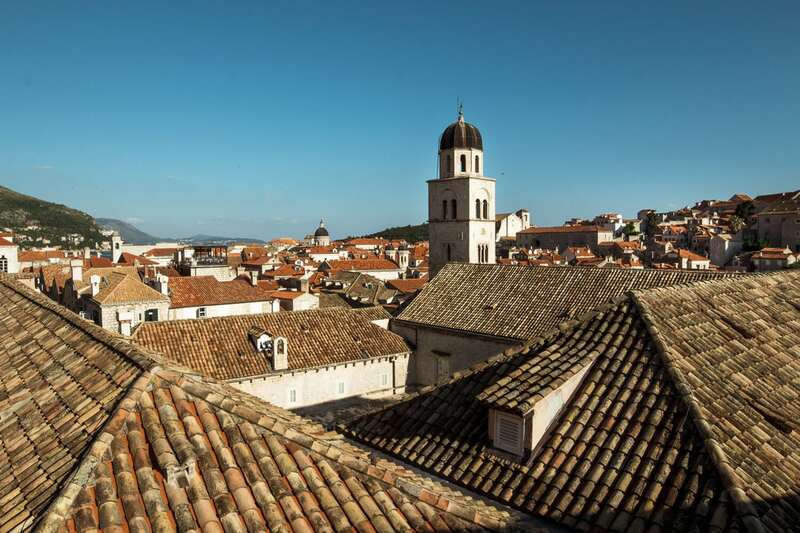 It’s the highest point on the city walls, so you’ll get one of the best views from the top. 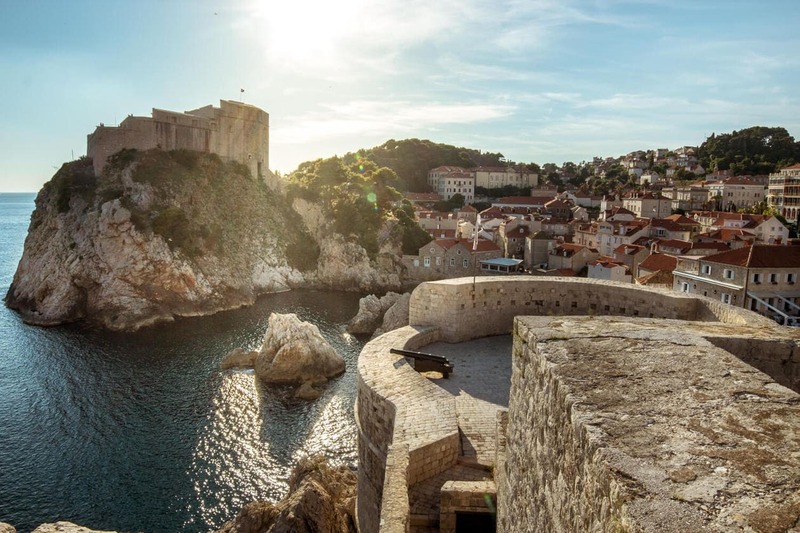 If you’re a Game of Throne’s fan, Minceta Tower was used as the exterior shot for the House of Undying. With that said, be sure to notice the hordes of people pretending to look for dragons. It’s extremely entertaining. 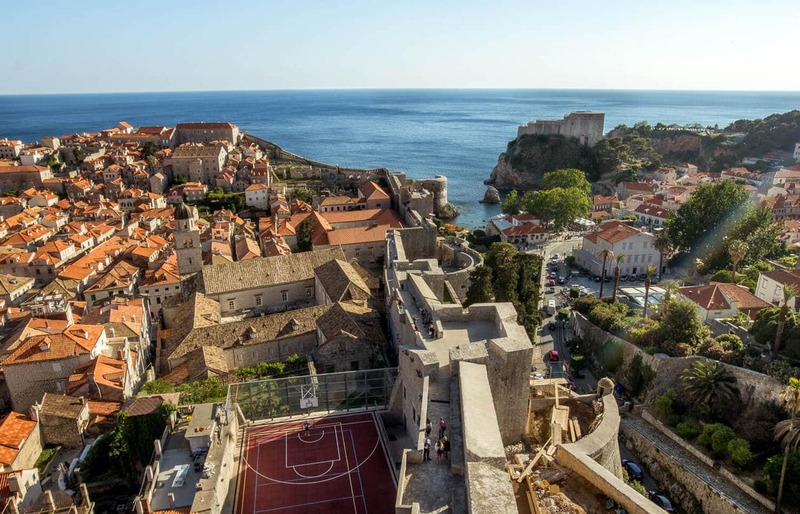 The west side of the city walls were my favorite. 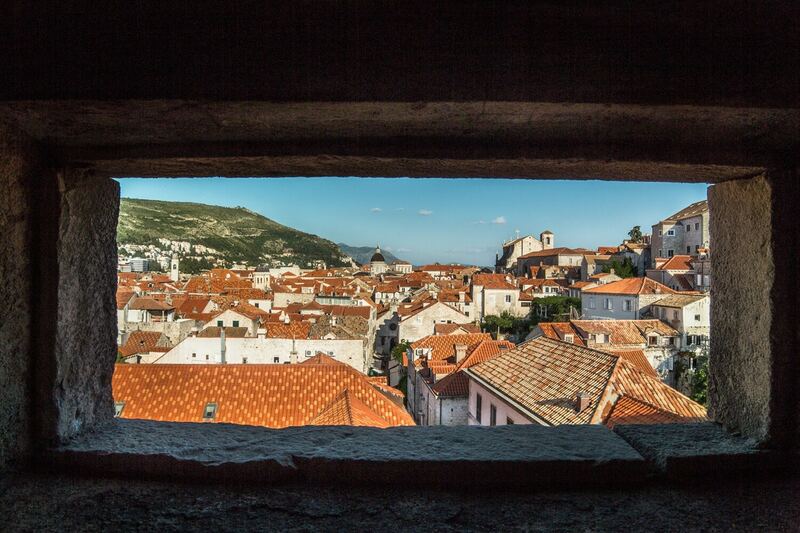 Looking out, you can see Fort Lovrijenac as well the rest of Dubrovnik. Looking in, gives you a great people people watching angle as mass crowds flow in through Pile Gate and walk up Stradun. 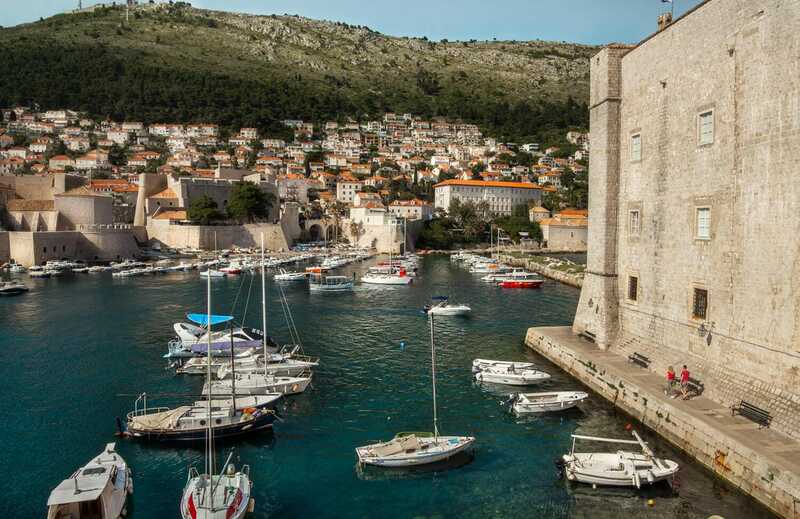 Fort Lovrijenac sits high across the inlet on a 37metre (121 ft) cliff. This was my very favorite view. 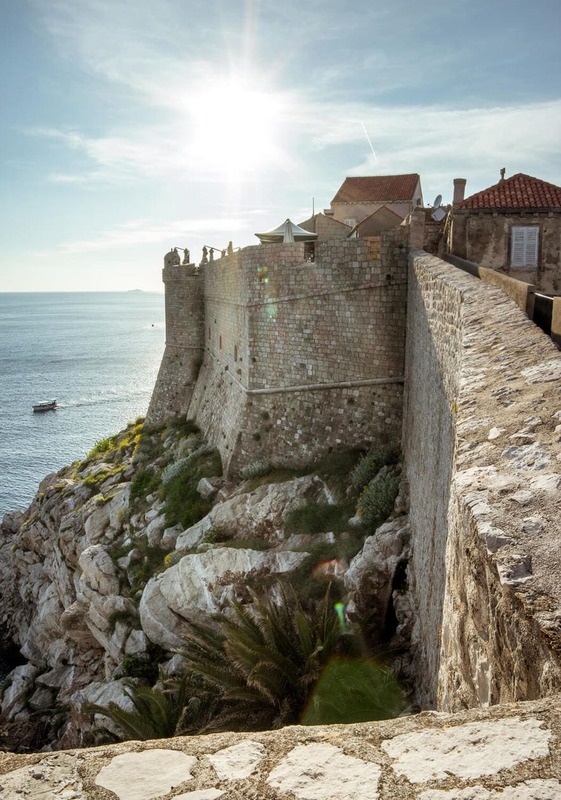 Looking out from the South side of the Dubrovnik walls gives you an unobstructed view of the Adriatic Sea as well as one of the best views of Lokrum Island. 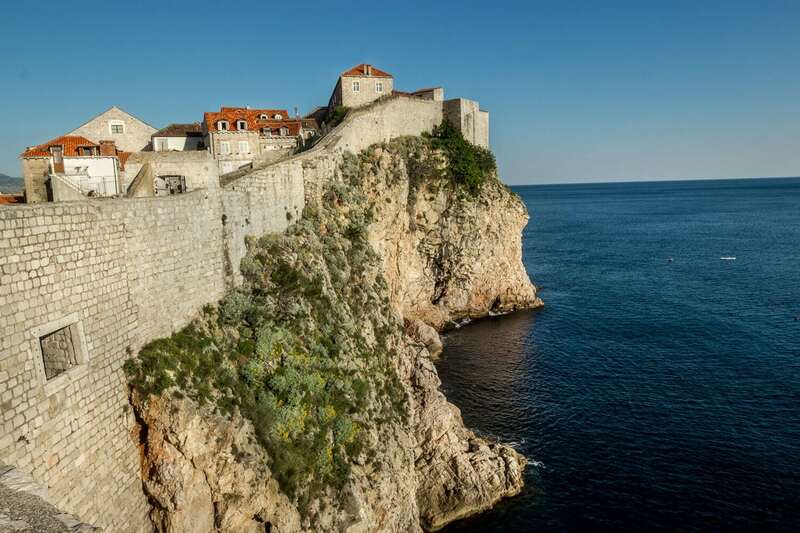 If you look off the edge as you walk down South side, you’ll see the famous Buza Bar located below on the cliff. 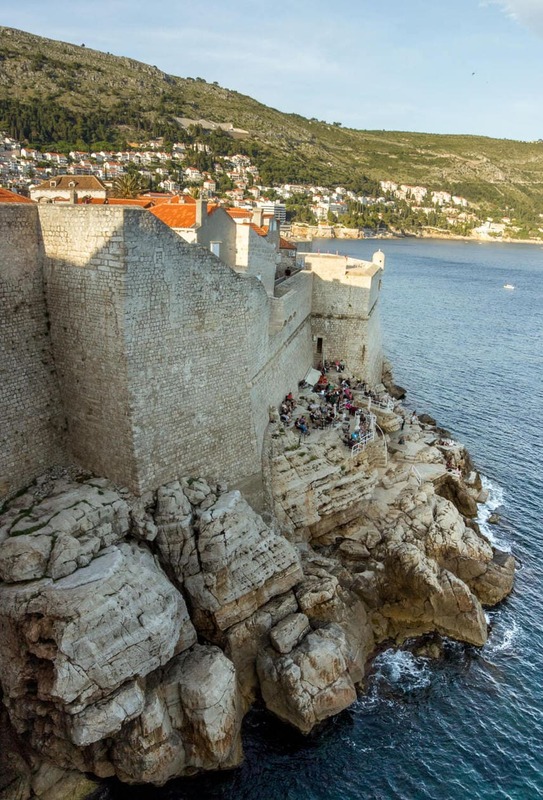 We strategically picked to exit the walls near the St. John’s Fortress entrance so we would be close enough to Buza Bar in time to watch the sunset. 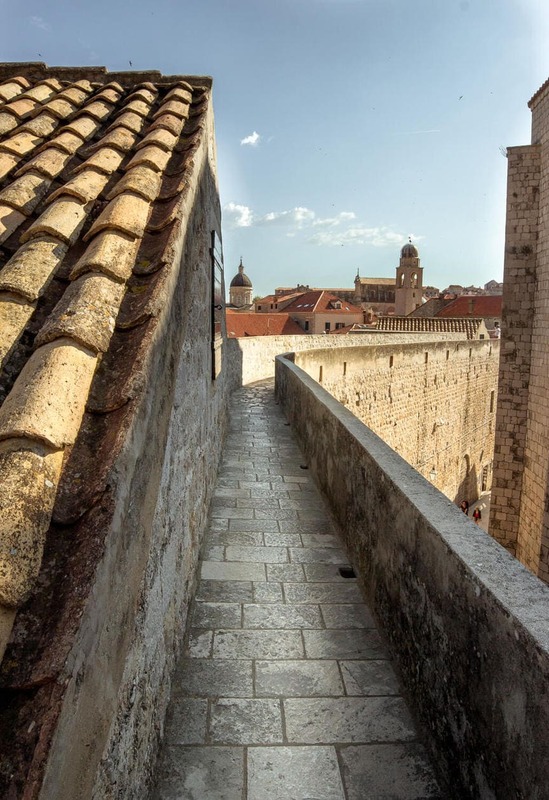 Walk the Walls of Dubrovnik Early On in your Trip Since the walls wrap around the entire Old City, it gives you the best perspective. 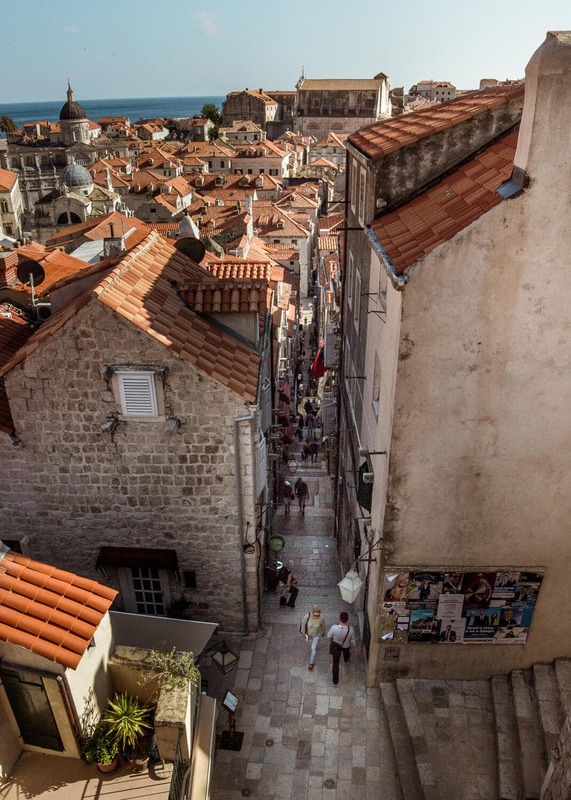 Seeing Old Town from above gives you a lay of the land and helps you to understand where everything is in proximity to each other, which may be helpful as you explore later. Wear Sunscreen There is very little, to no shade on walls. I had sunscreen on and still got burned. 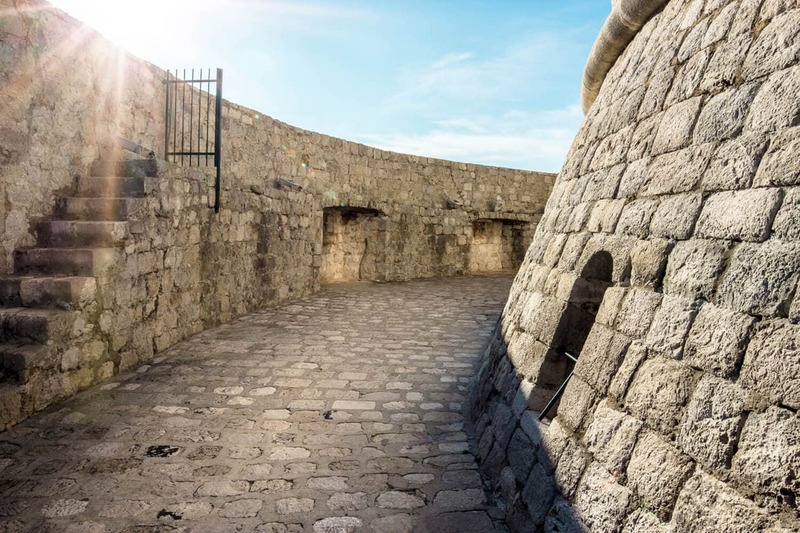 Get into the Fort Lovrijenac for Free With your entrance fee to the walls, you also get admission into Fort Lovrijenac for free. 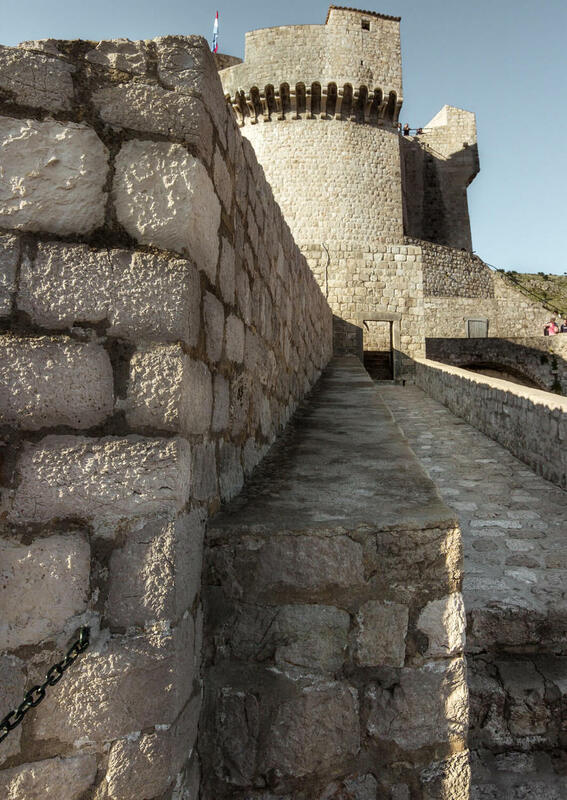 You must visit the fortress within 24 hours though. 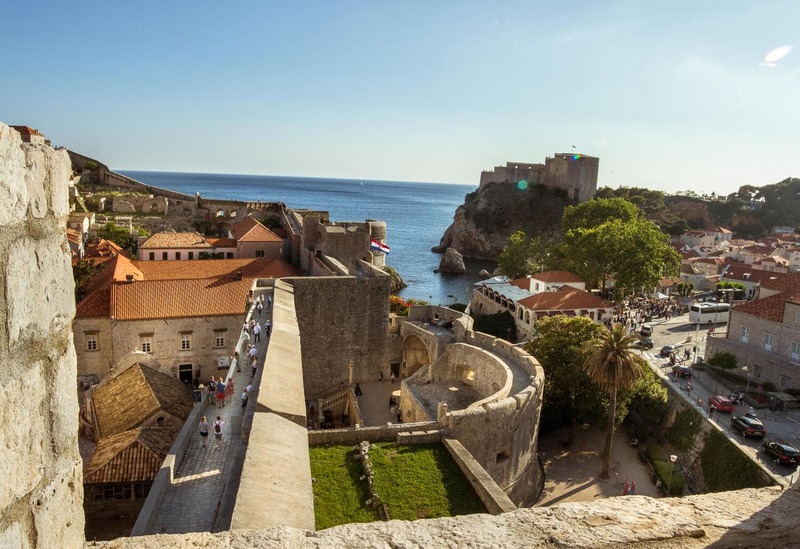 Go Early or Late in the Day As the most popular thing to do in Old Town Dubrovnik, the city walls get pretty packed, especially during peak season. 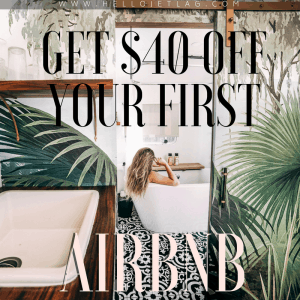 Aim to get there first thing in the morning, or later in the afternoon a few hours before closing time to cut down on the amount of people you’ll be sharing the views with. It will also be cooler during these times. Food & Drink You’ll stumble upon few bars and snack stands (mostly near the South Side) as you walk. Since we were racing to get off the walls before they closed, we weren’t able to stop for a beer.. which pained me. Bring Water There are a few people selling water bottles along the way, or you can stop at one of the cafes. However, its cheaper to bring your own and you’re definitely going to need it. Re-fill your bottles in the fountain at the main gate to cut down on plastic waste! 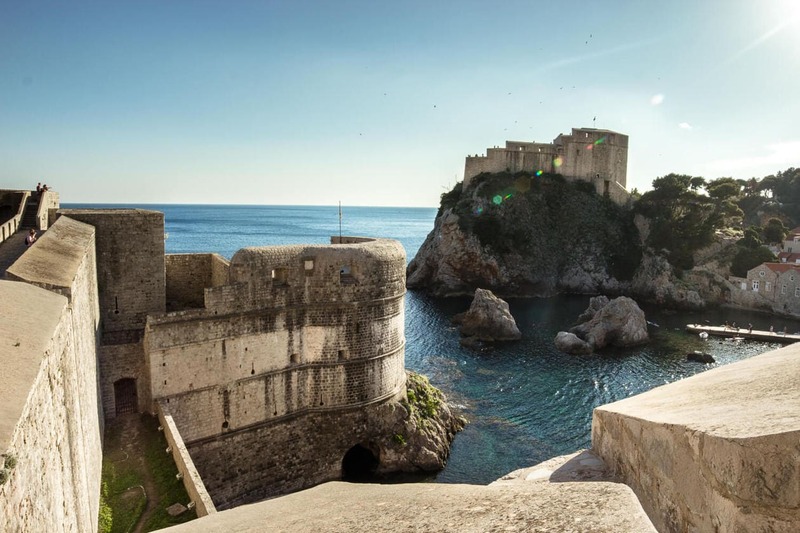 Get the Dubrovnik Card Entrance to the walls of Dubrovnik is free if you have a Dubrovnik Card (190HRK). 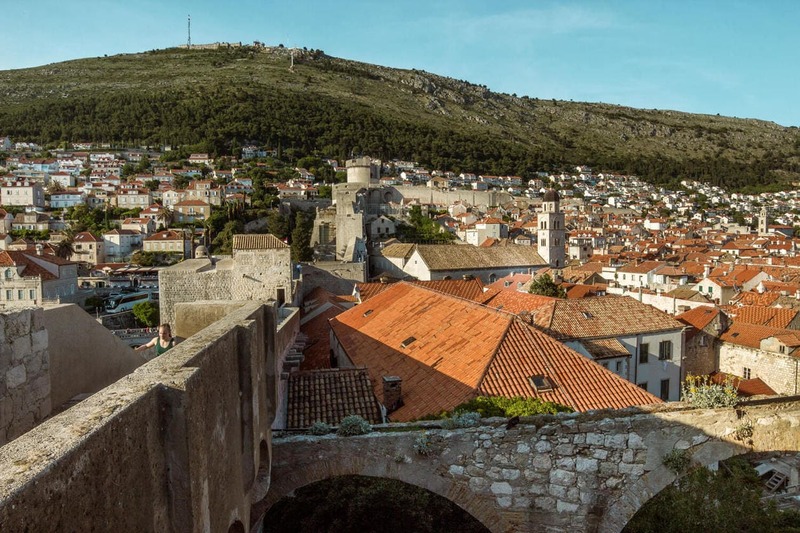 So for only 40HRK more than the entrance fee of the walls, you’ll get admission to almost all of the museums in the city, plus free access to Dubrovnik’s public transportation system. 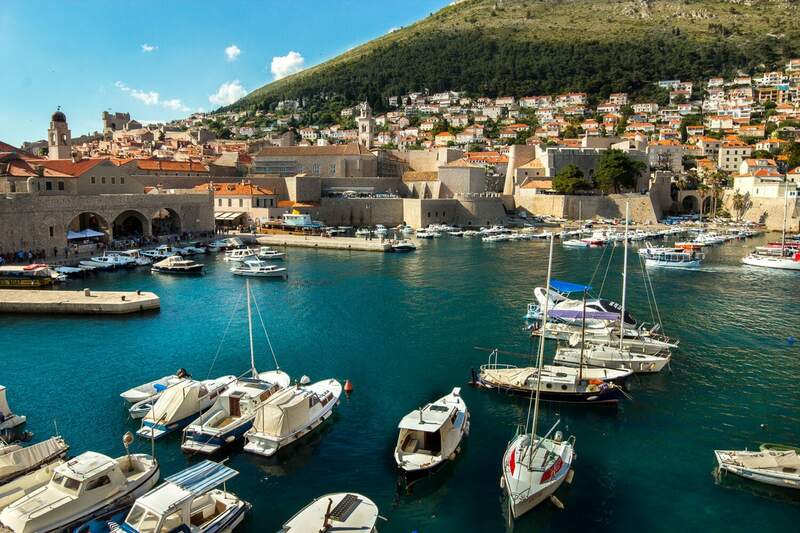 Info on the Dubrovnik Card here . Tickets Purchase your tickets outside of the main entrance gate (Pile) of Old Town. You Don’t Have to Walk the Whole Perimeter If for some reason you want to get off the walls, there are 3 entrance/exit points along the way. Just know that once you exit, you cannot get back on without another ticket. 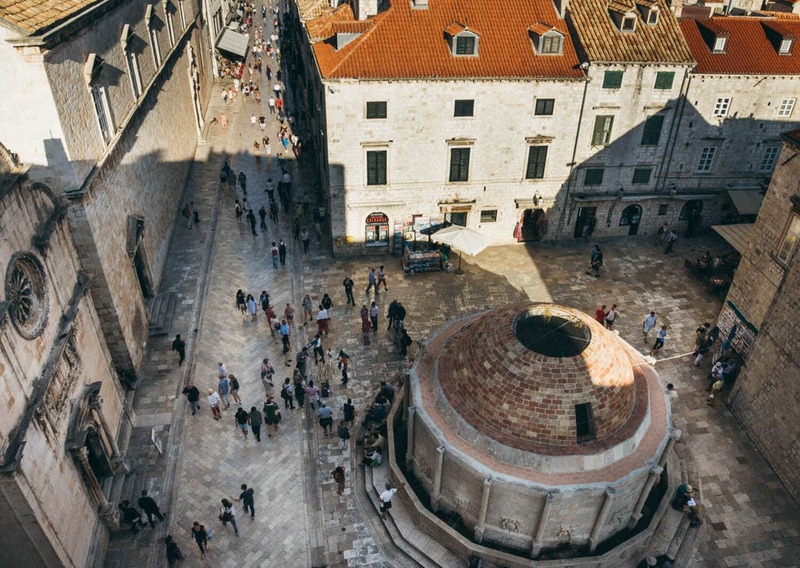 Give Yourself Enough Time Give yourself the time to take it all in and to really see the Old City from above. If you walk at a normal pace and don’t stop too many times, you can probably complete the lap in 1.5-2 hours. If you take a million photos like me, give yourself a lot more time.